Grow Your Blog Network with Food Blogger Pro! Who else but other Food Bloggers will understand what you go through on a daily basis.. In real life if you tell someone you blog, they look at you in a strange way and normally it follows with.. “You blog.. that´s it.. that possibly couldn´t be all you do.. it´s not even a real job, is it..???”. THAT´S WHY IT IS SO IMPORANT TO CONNECT WITH OTHER FOOD BLOGGERS! Who understand what you go through on a daily basis. Heard of Food Blogger Pro? Well it´s a super awesome place for Foodies to connect and learn the in´s and out´s of Food Blogging! Food Blogger Pro knows and understand that you have a story to tell and a gift to give the people that follow you online. They also know (from tons of experience) that the road to success isn’t smooth (overnight success is a myth in this industry). Food Blogger Pro has +300, easy to follow tutorial in video format + a very active community forum (read more below). Their #1 focus is to provide training and support to help you reach your goals more quickly! Quickly master skills that took them years to learn. Not to waste time working on the wrong things. A great support system in what is often times a lonely journey. Know of any new industry changes. Discover hidden revenue and income streams. What are a few things I learned? How to optimize my site for SEO (Search Engine Optimization). Food Styling and Photography Tips that made my photos looks HEAPS better! How to edit my photos using Lightroom. How to monetize my site via ad networks & effective affiliate marketing. How to use my newsletter to grow my blog. How to use social media to grow my blog. Absolutely! In my opinion Food Blogger Pro is one of the best investments a Food Blogger can make! If you watch the courses and follow the steps, you will see results. Everything is explained in simple terms and easy to understand. No wasting time digging through tons of information online, everything is right there for you! It really is superrrr worth it! A membership to Food Blogger Pro is $29/month. There’s no contract, commitment, or small print you need to worry about. Nothing can stop you know! 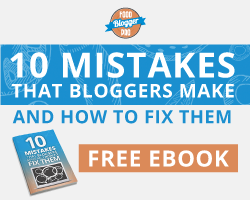 If you’ve been thinking of starting a blog, or want to take your current blog to the next level, I strongly suggest you give Food Blogger Pro a try. It’s a wonderful resource and community. 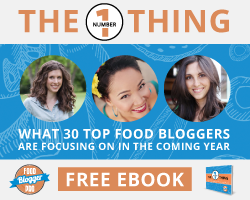 Free ebooks to download from Food Blogger Pro! Disclaimer: This post includes affiliate links and should you click through and purchase the product I will earn commission. All the opinions are my own and are based on my own experiences in the Food Blogger Pro community. Thanks for supporting this blog!